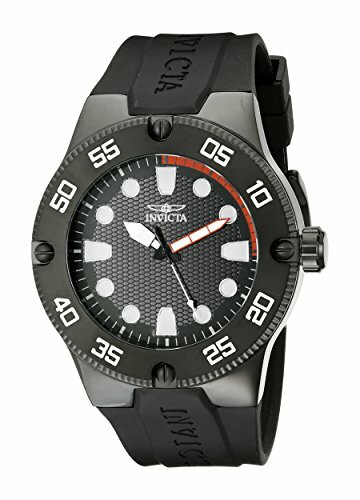 Made with you in mind the Invicta timepiece is the perfect addition to any wardrobe.Tell time with precision with this Invicta that is a part of the Pro Diver collection. It is a diver's watch like no other and allows you to chose from a variety of silicone straps or a stainless steel bracelet that also comes in gold-tone and rose-tone 18K gold plated stainless steel. Own yours today!